How Do You Plan a Successful Wireless Network Upgrade? Making the decision to upgrade or replace a wireless network can be a long and challenging process. You'll want to choose tools and technologies that best match your goals and objectives for your network. That requires a fair amount of research up front. 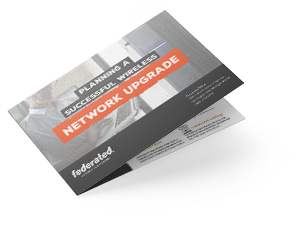 Download our free eGuide: Planning a Successful Wireless Network Upgrade for a deep dive into the components that make up a robust, secure network. Maximize your budget by planning a successful network upgrade that meets your needs.